He also "stood up to Putin". 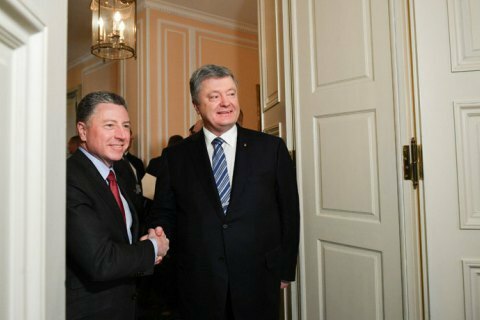 US Representative for Ukraine Kurt Volker has commented on the Ukrainian presidential election on the air of the US TV channel PBS. "So, what we have now is an election in Ukraine similar to elections that we have seen in France or with the case of Brexit or even in the United States," he said. He continued: "It's a candidate who has established himself as against the establishment vs. the incumbent president, who is saying that, you know, I have worked hard, I have made a lot of accomplishments, we have more to do." "And now the Ukrainian public is faced with this choice. Do they want someone who is just going against the establishment, promising massive reform? Or do they want someone who maybe has been disappointing to them in some respects, but has done more on reform than anyone else has in Ukraine for the past 20 years and stood up to Putin?" he added. Volker concluded: "And what's great about this is, this is a truly democratic election. We don't know how this is going to come out."